What is ‘Solo?’ This is one of the most common questions that Outward Bound students ask their Instructors within the first five minutes of starting their course. Keep reading and you’ll find out information behind this staple of the Outward Bound experience. 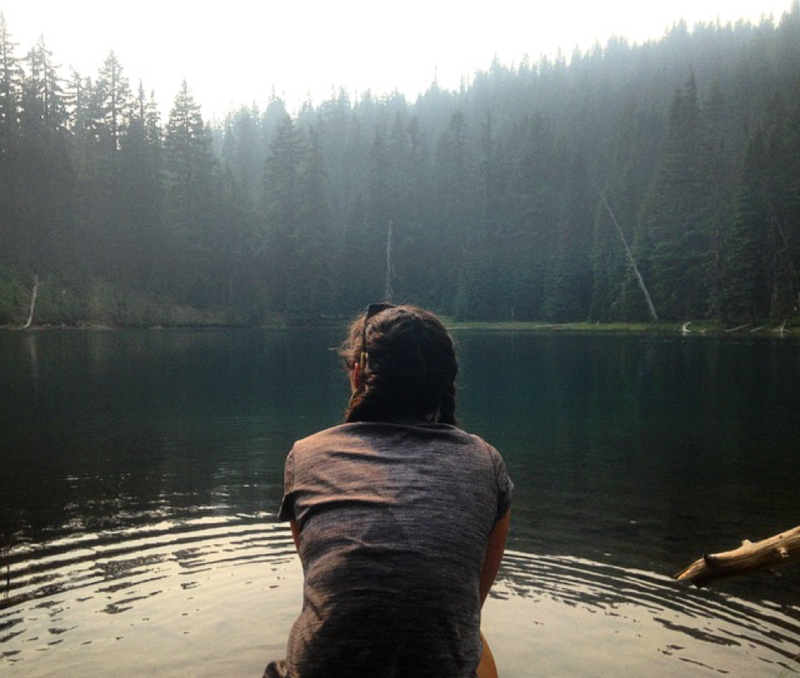 A student fills her water in the morning at an alpine lake in the Three Sisters Wilderness, Oregon. Photo by Devin Shunk. Two Outward Bound Instructors stand before a group of students, fresh off the bus, that are about to begin their 21-day expedition. Some students are already comfortable in the new outdoor setting. Most students are feeling anxious from the new and different faces and environment that surrounds them as they now stand in a circle, listening to instructions on how to pack their expedition packs. Everyone is still learning names and thinking of whatever questions might be budding inside but are kept unspoken as each person feels out what this new group dynamic is like. Instructors are running through the list of clothing and gear items one-by-one when an off-topic question is asked by a student, curiosity and anxiousness getting the most of them. “Excuse me? When is the Solo?” asks the student. For the moment, ambiguity fills the blank for the student, but really, curiosity and anxiousness is only continuing to build. Solo can be an easy concept for some and welcomed when it comes time for it on a course, while other students really struggle with the concept and the practice of having to endure time alone. If you, the reader, happen to be experiencing some curiosity over Solo as well, then here are some of the pillars and ideas to further your understanding behind having an ‘alone’ period on an Outward Bound course. Kurt Hahn, an educator and the founder of Outward Bound, believed strongly in the benefits of solitary reflection and introduced the idea as early as the 1920s in the academic schedule at the Salem School in Germany. Hahn instilled the notion that regular intervals of solitary silence were key for growth in learning. Students at the Salem school would reflect daily on their lives while walking in nature. 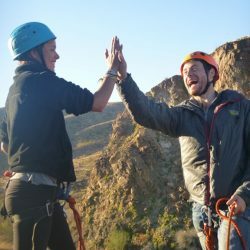 Because of the subjectivity of each Instructor group, the considerations for students’ emotional and physical welfare, the time given for the itinerary of the expedition and many other factors that occur while navigating the wilderness, every Solo experience is unique. Students are always briefed on Solo by their Instructors before it occurs. A Solo experience can range from a few hours on a “mini-Solo” to no more than 72 hours. Solo can happen one time on a course, or multiple times. The essence remains that students are separated from each other and the Instructors in order to truly fulfill the idea of being ‘solo’. Instructors are never more than a brief walk away from student Solo sites and they will check in on students to provide water refills, administer any medication needed, clean up any cuts and scrapes that might have come from the rigors of navigating the backcountry and ultimately check on the general well-being of students. These checks happen intermittently throughout the Solo experience. 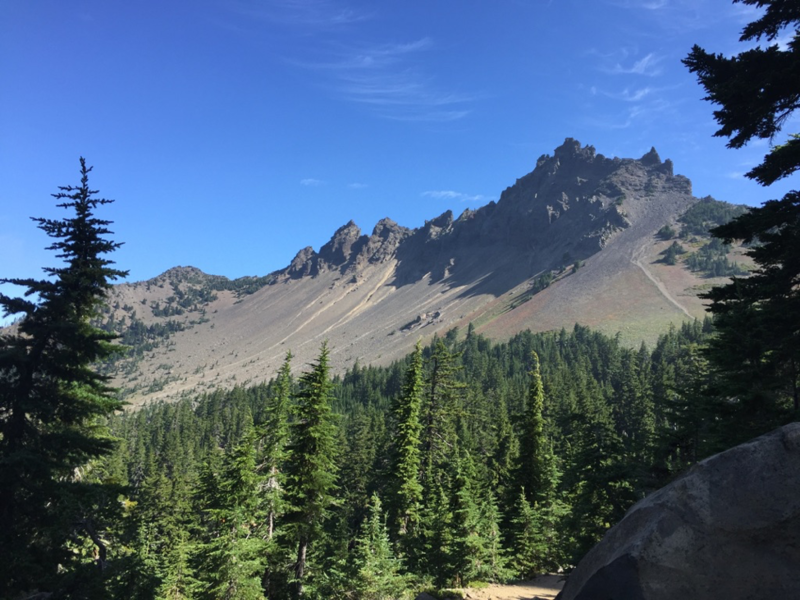 A view from the Pacific Crest Trail of the west face of Three Fingered Jack. Photo by Devin Shunk. Many students come onto a course with the assumption that they will be required to navigate miles of unfamiliar terrain, scavenge for berries and catch small mammals for food and strike up a magical fire from the copious amounts of flint and steel that are naturally found just laying around (often right next to each other) on the forest floor. Whether that makes some fearful or excited, Solo is not a survival test. The ability to reflect on our thoughts and critically analyze our actions and decisions is a cognitive function that truly works best when basic human needs have been met. Being put into a survival situation negates that concept and starving students would be thinking more of their favorite fast-food burger than of their interactions with the world. A small packet of food is provided exclusively for Solo that equals the level of little-to-no-exertion that occurs on Solo. The expedition that makes up an Outward Bound course, no matter the length, is physically and mentally demanding. Students wake up early, cover incredible distances both by foot and craft, set up and break down camp daily, experience the roller coaster of what it is to become hungry and thirsty from working hard outside from dawn until dusk, and maintain a positive demeanor through it all. Solo offers the opportunity to relax from the rigors of a backcountry expedition. We all need a rest day. 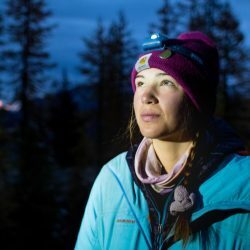 With resting both the body and the mind, students return from Solo capable of accomplishing amazing feats whether it be a final summit push, the longest day of covering miles, and better yet, the hardest day to lead alongside their peers. 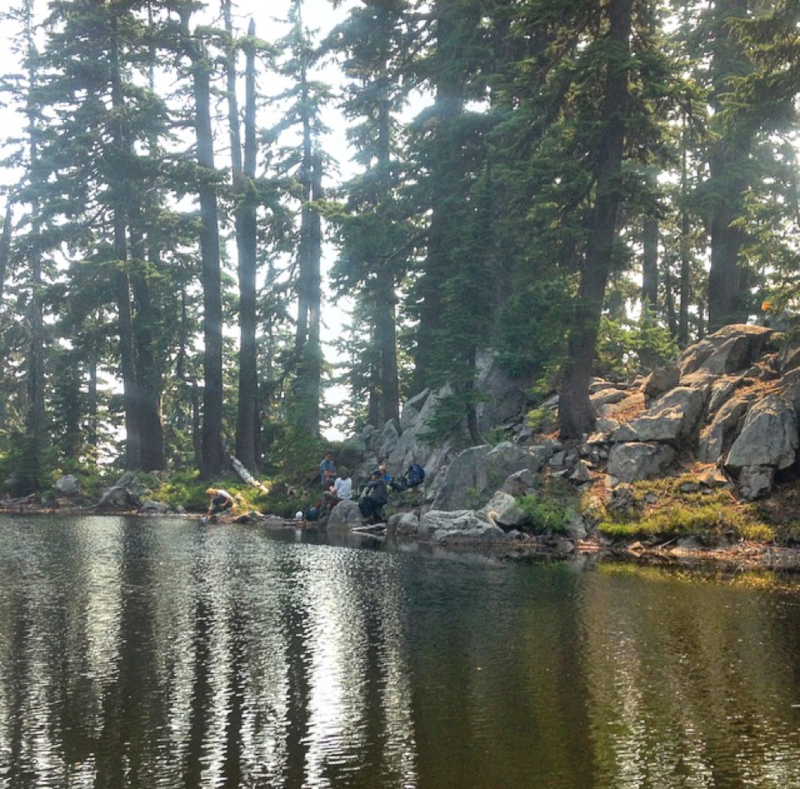 A group gathers water together at their camp. Photo by Devin Shunk. Everyone has a story; how much time do we give ourselves to think about how it is being written or where the story is going? During daily life, we might devote a couple of minutes here and there, during the bus ride to school or the commute to work, a few minutes of mentally spacing out from the task at hand, or eating a meal alone or on an afternoon run. On an Outward Bound course, an emphasis is put on reflection because we believe that reflection encourages profound, long-term learning and growth at all ages. That time and purity of space without modern day distractions for reflection is not one that works into the overly packed schedule of obtaining the American dream. There is no cell phone, no television, no music, and nothing other than you and your thoughts out in the wilderness. 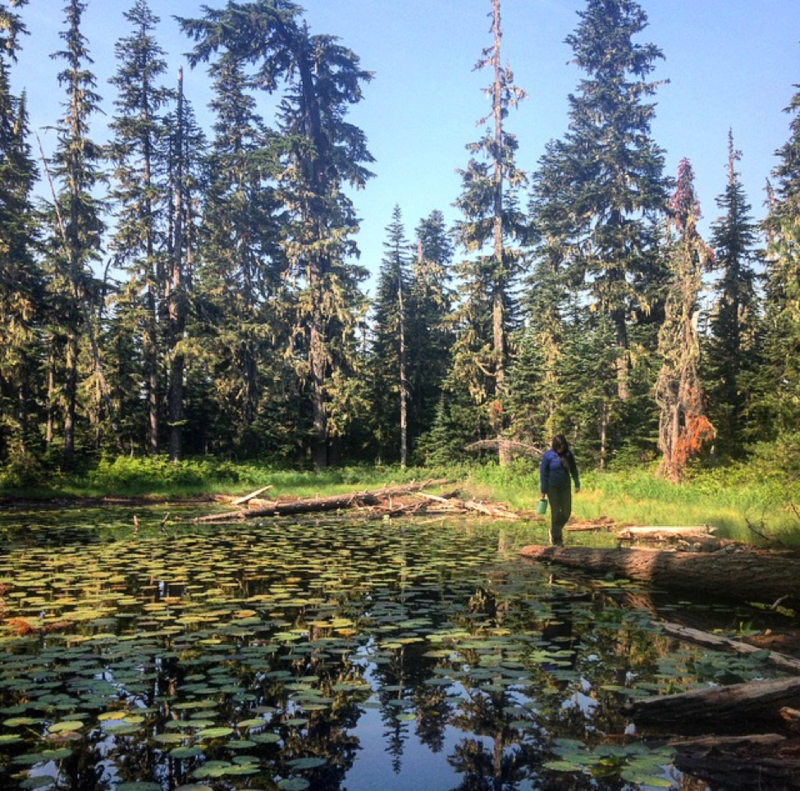 A student is shown during a moment of reflection at an alpine lake in the Mount Jefferson Wilderness, Oregon. Photo by Devin Shunk. At the point of nearing completion of the Solo experience, the group has spent almost a full few weeks together. Everyone is called back in from their Solo sites and the silence they’ve endured is broken with a reading from one of the Instructors. They immediately go into a frenzy of interesting and weird things they experienced and are beyond excited to share and have company again. After most of the chatter has started to die down, the Instructor asks whoever is open and comfortable, to share their thoughts and a big takeaway from their experience. 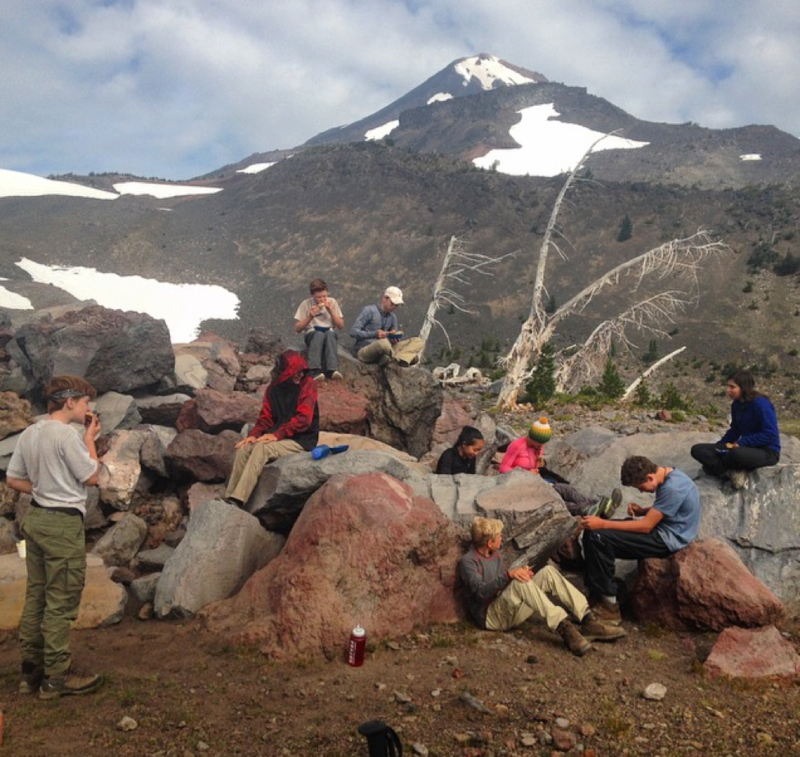 An Outward Bound crew shares breakfast and Solo stories at the base of Middle Sister in the Oregon Cascades. Photo by Devin Shunk. A Solo experience on an Outward Bound course can help foster self-awareness, self-confidence, a development in maturity, stronger personal values and compassion towards others. Having the time to sit with yourself can be a great gift to have in a world where we move, with unbridled haste, from one transition to the next. Our mission at Outward Bound is changing lives through challenge and discovery, and the Solo experience embodies just that. Raynolds, John. (2007). 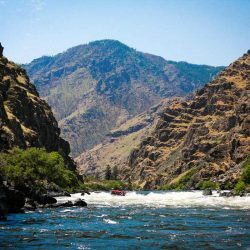 Leadership the Outward Bound Way: becoming a better leader in the workplace, in the wilderness and in your community / Outward Bound USA. First edition. Seattle, WA: The Mountaineers Books.